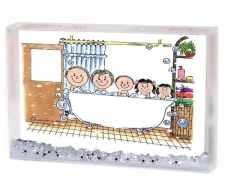 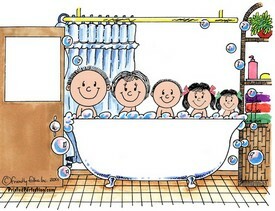 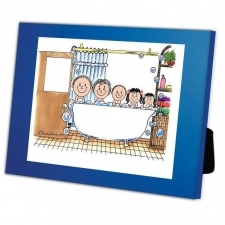 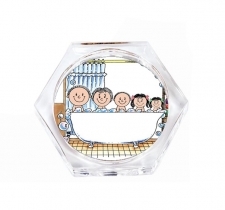 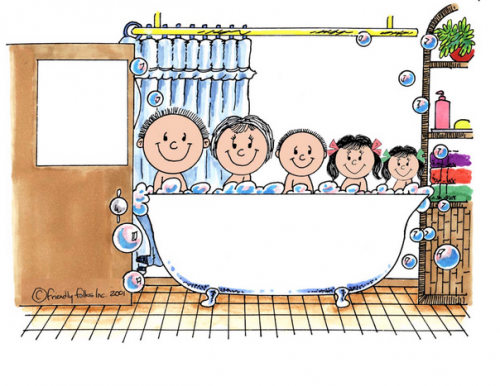 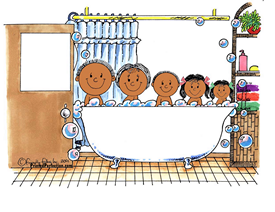 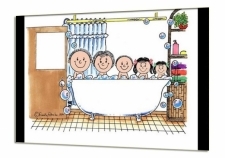 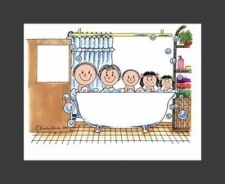 Two girls and one boy in a bathtub - Cute bathroom decor! 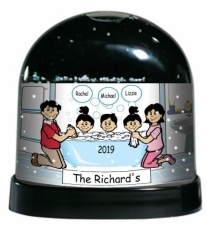 Something different, definitely unique and personalized just for them! 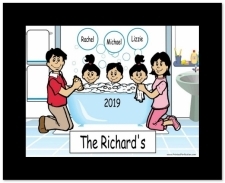 This cartoon print is personalized just for them! 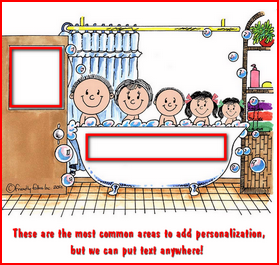 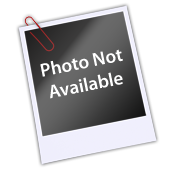 Add their family name and first names or other text to make it extra special. 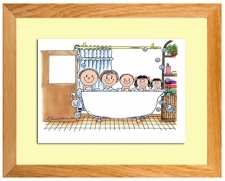 Makes great bathroom decor!